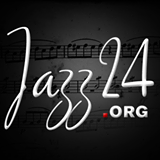 Jazz24 Radio is a 24/7 commercial-free online jazz station featuring the greatest jazz artists of all time, as well as today’s top talents. Jazz24, a not-for-profit entity, is produced by Pacific Public Media, who also operates as KPLU-FM. Welcome to Jazz24 Radio from Seattle & Tacoma, Washington. Jazz is a music genre that originated at the beginning of the 20th century in African American communities in the Southern United States from a confluence of African and European music traditions. From its early development until the present, jazz has incorporated music from 19th and 20th century American popular music. Its West African pedigree is evident in its use of blue notes, improvisation, polyrhythms, syncopation, and the swung note. However, Art Blakey has been quoted as saying, “No America, no jazz. I’ve seen people try to connect it to other countries, for instance to Africa, but it doesn’t have a damn thing to do with Africa”.